When I first started my photography business, I was so overwhelmed by everything I didn't know. What gear to buy, what software to use, lighting, editing, directing, posing.... not to mention social media marketing and client communication... the list goes on and on. No matter how far you are in your photography journey, running a business is no joke, and the entrepreneur life can be rocky. I feel you. This industry can make you feel so alone, especially in such a saturated, competitive market. That is why I'm so passionate about helping others grow through sharing what I've learned over the years. I truly believe there's room for us all at the top, and you should never feel like you're in this alone. We all benefit from encouraging and educating others. This session takes you through my whole process start to finish. We'll get together for coffee (or wine) and talk for a bit. We'll cater our chat to what you specifically want to learn, but topics can range from (but aren't limited to) attracting your dream client, social media marketing, preparing for a session, communicating with potential clients, etc.. Then you'll get the chance to photograph a real couple with me. You'll see how I interact with my couples, direct them, and find that dreamy light. You'll also be shooting so I can coach you and give you feedback. After the shoot, we'll go grab coffee (or wine, hey I don't discriminate..) again and we'll go over the photos as we discuss editing, delivery of images, blogging, workflow, websites, etc.. Nothing is off limits. I'm an open book. This session is ideal for more experienced photographers local to Oahu, Hawaii. OR you can check out my travel schedule and we can plan accordingly. "From the moment I met Lindsey, I felt as if we could have been friends forever. 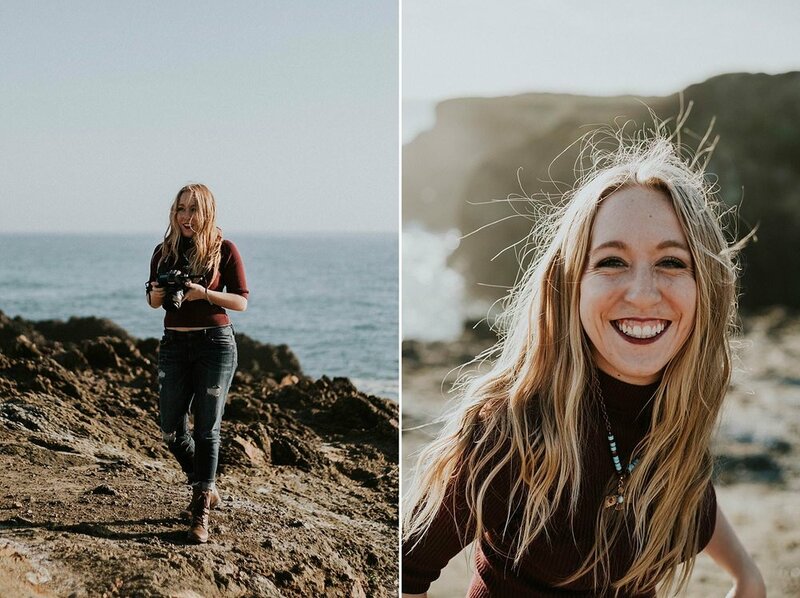 She is an absolute ray of sunshine, an incredible photographer, and teacher. During our mentorship session, Lindsey catered our time to meet the current needs of my photography and my business. She took the time to address my intended topics and led me to questions I did not even know I had. We addressed topics from equipment, workflow, client interaction, website design, social media, and so much more! Shooting a couples session alongside her was an absolute dream. This allowed me to see Lindsey in action as well as jump in for instant feedback. I left my mentorship with her so energized to apply everything I had learned! I have already seen a change in my photos and there is still so much change I have in store thanks to Lindsey. I cannot thank her enough! I would most definitely recommend her to other photographers looking for feedback and growth!" Interested in your own photography mentor session? Message me below and let's take your business to the next level!